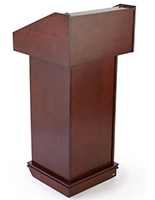 This fitted podium cover is custom designed to fit our LCTW265 line & similar size solid wood convertible floor/countertop fixtures. 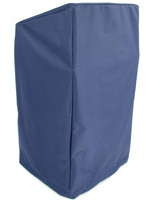 The 600x450 denier fabric features a rich blue color and a stain and spill resistant PVC coating. 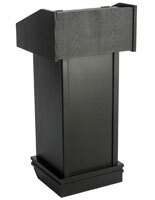 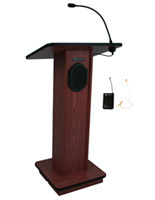 The durable fitted podium cover will fit 26" w x 48" h x 22" d models in addition to the LCTW265 convertible series. 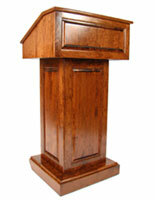 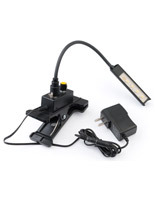 Each lightweight protective lectern covering can be washed with soap and water as needed. 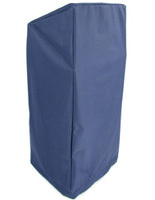 This podium cover in blue polyester is an excellent way to protect valuable podia and speaker's stands. 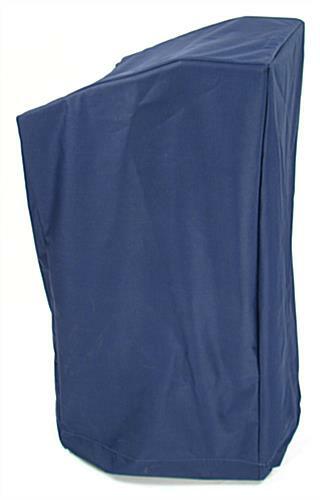 The durable material is designed for maximum resistance to scratches, stains, spills and tearing. 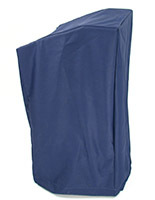 26.5" x 48.0" x 22.0"